Academic and rural hospitals will likely see a cut in Medicare funding if the CMS finalizes a proposal to reduce reimbursement for more-complex patients, according to a Moody's Investors Service analysis released Monday. Under the CMS' newly proposed payment structure, the agency wants to equalize payments for several billing codes rather than paying more for complex cases and less for simpler patient cases. That effectively will give primary-care physicians a pay raise and specialists a pay cut, Moody's said in a note. Academic medical centers and rural hospitals tend to employ more specialists, and they tend to see sicker patients, thus increasing their chances of seeing a cut in Medicare reimbursement, according to Moody's. Community hospitals will likely get a pay bump because they employ many primary-care physicians who see less complex cases, according to Moody's. The CMS now reimburses $148 for level 5 visits. It's proposing to reduce that to $93. Meanwhile, level 2 cases will go from $45 in reimbursement to $93. 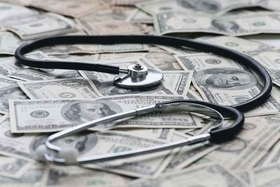 In addition to a pay cut, the proposed change could give specialists an incentive to seek hospital employment as opposed to maintaining independent practice, according to Moody's. The code change was done in part to reduce documentation requirements for providers. However, the proposal may actually pose little relief, according to Moody's. That's because the proposal doesn't change documentation requirements for private insurers, which are the largest source of payment for office visits.